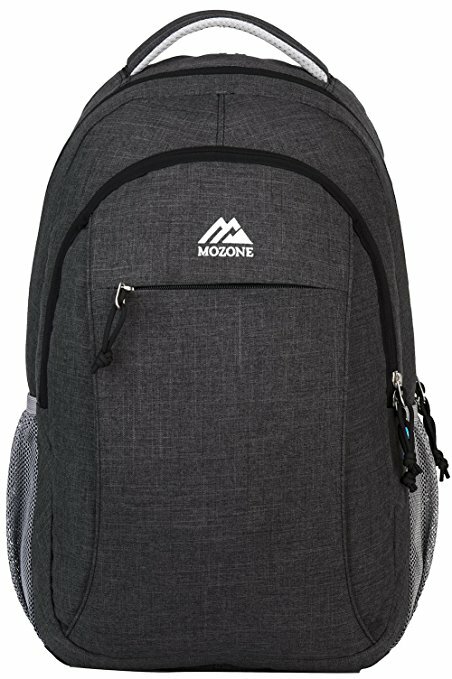 Commonly used by students and hikers, however they are now frequently used by office and business workers as well as travelers to carry their loads like laptops, notebooks, iPads, umbrellas, clothes and the like. Larger backpacks can carry 10 kg of weight, however there are smaller sports backpacks to load for college use, gym use and cycling. They are also provided with padded hip belts to offload the largest part of load so that their shoulder straps just stabilizes the load and thus improves the potential of carrying heavy loads, as hips are stronger than shoulders. They increase balance and agility. 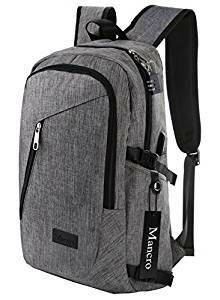 Here are the reviews for 3 best backpacks for college. Uoobag KT-01 is the best laptop back that can be used as a perfect college backpack. It can fit to most if not all 14 to 15.6 inch laptops which are now the most essential part of college student’s life. It can also fit some 17 inch laptops. It is made from 210 D Nylon Fabric which is water repellent, easy to clean and durable to use for years. Its high quality Polyester lining makes it more high-end. It has a unique anti-theft feature with 2 way antitheft high quality dual zippers to make you stuff safer. It has one anti-theft Laptop pocket, one iPad pocket, one main compartment and two side zippered bottle pockets as well as several combinatorial pockets and compartments to store cell phones, keys, pens, notebooks and other smaller accessories. It has 40Kg or 88lb loading capacity along with padded back cushion as well as S shaped thicken shoulder straps to carry it without fatigue. It is suitable for both boys and girls. To fit most sizes of Laptops it has a laptop compartment of dimensions 11 inch wide x 1.57 inch depth x 16.5 inch height. In centimeters 28 x 4 x 42 cm respectively. When it is about overall capacity it can carry 3 thin suits, one 14 to 17 inch laptop, one iPad, umbrella, notebook, keys, pen and so on. Its S shaped thicken shoulder straps help to lighten the load on your shoulder. 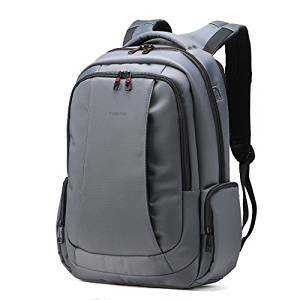 It is a perfect back-pack for office use, traveling as well as for college. Although its material is water repelling, it is recommended to use it in Drizzle days, in heavy rain it is not recommended to use because it may get wet. 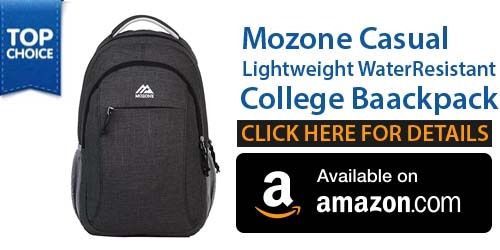 Mozone Casual Water resistant laptop bag is best for college, school or for traveling. It is made from high quality material to make it durable, nice as well as light weight. It has a large multi-compartment design, to fit most of the college stuff like notebooks or laptops and its overall dimension is 15.5 inch height, 10 inch width and 1.75 inch depth. This bag is pretty much water resistant, still it comes with a rain cover to make it 100 percent waterproof, therefore your stuff inside this bag will always remain dry. Moreover it will also help keep your bag clean during air travel. Don’t worry to carry extra rain cover because there is a hidden compartment at the bottom of this bag to carry its rain cover. The sturdy nylon backpack is equipped with padded straps to provide extreme comfort, a padded cushion to save laptops and tablet form shocks as well as a padded cushion to protect your back while you carry heavy loads. It is a perfect bag for casual use, at school or college, and at work as well. This backpack has super cool design, and fashionable enough that it can be considered as best gift for your nearest and dearest. Although it is big enough to carry the world, but not too much big and you can carry it without botheration that it will look bulky behind. It is made from high-grade durable nylon to make it lightweight, water resistant, refining and classical. It is fashionable and elegant as well as comfortable as it has thicken strap, and padded cushions to carry it without fatigue. It has plenty of space in it to allow you to carry most if not all of the accessories of daily used. The best part about this bag is that it has reasonable and scientific compartments to allow you to lay your stuff in a systematic manner. It is best for traveling, office use, school or college. ProEtrade Multipurpose is a versatile college backpack that allow you to wear it on shoulder, as well as diagonal, so you can opt any style right according to your outdoor & fashion needs. While you are at camping, hiking, biking or going to work place or college, you can simply use this backpack. Its diagonal and shoulder wearing feature allow you to carry it while you walk a dog, taking a walk, shopping or out with your friends. Really this bag can allow you to satisfy all your needs associated with a bag. It has a largest space with full stretched size of 20.5 inch height x 13 inch width x 7.5 inch depth. It allow you to carry books, iPad, Laptop, clothing, water bottles, documents, keys and your other important stuff. Its lined laptop pocket can carry a 17 inch laptop. You can also meet your all traveling need with this bag. It is made from high quality nylon to make it water proof and tear resistant. It can efficiently save your stuff from dust, dirt and rain. Its durable buckle as well as strong zipper makes it more long lasting to use for many years. It has multi-color options to choose from. Its streamlined appearance makes it a symbol of coolness and fashion and bring more enjoyment to any trip. This bag comes in orange, blue, pink and black color so there is good choice for both girls and boys. Its high grade waterproof nylon material save all your stuff from rain, dust and dirt. It has adjustable shoulder straps to wear it on shoulder, diagonal and backpack. It is not recommended to wash it with hot water and always wash it separately to avoid staining. Although some people may find it too big, however when you learn about its capacity you will love its size, which is neither too big nor too small. Although very solidly built, it isn’t too heavy to carry. About 100 percent water proof, it might be slight exaggeration, because if you leave it in rain it will not save your stuff, however hanging it and moving under rain will be fine. All the compartment of this bag are padded therefore all the stuff especially laptops and iPad will be safe. Innovation is the main idea behind this Mancro Brand. The team is committed to provide their best consumer services with high quality and low cost products in order to make their customers feel a real charm in the product. This backpack is made from durable nylon fabric and it features a reinforced bottom that is Light-weight to carry. It is perfect for school, weekend getaways, business traveling, shopping and all other related activities. An external USB with a built-in charging cable gives you a convenience of charging you devices anywhere. It is designed for either Apple product or Micro USB with a USB 2.0 port. More than ten compartment to offer you separated spaces for iPhone, iPad, laptops, passports, keys, wallet, pen, charger baby, watch, Mp3, A4 files, umbrella, clothes, books, bottles and the like. You can easily find what you need. 2 side sealed pockets give a great security and sturdiness than other mash pockets. A soft lined laptop sleeve grips the laptop of 17 inches to offer you enough room and maximum comfort. 2 S shaped shoulder straps are there with a force reinforcement design. It also include metal zippers and combination lock to make it reliable and theft proof, protecting wallet and other items inside. It has a Capacity of 1.24 cu ft/35L with dimensions of 20 by 12.2 by 5.7 inches or 51 by 31 by 14.7 cm. Its shoulder straps can be adjusted from 15.7 inches to 36.2 inches or 40 cm to 92 cm. It has a maximum pocket dimension for laptops i.e. 17 by 8.66 by 0.79 inches or 43.18 by 22 by 2 cm. There are 3 main pockets and 9 inside smaller pockets as well as 2 sealed side pockets to provide separate room for all the daily used items. It is just 1.57 pounds or 0.71 kg in weight. Its material or fabric is water resistant Polyester. The whole Package include 1 backpack, 1 combination lock and a lifetime warranty by Maxibox shop. 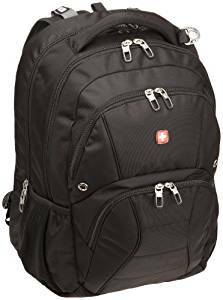 From manufacturer of Genuine Swiss Knife, SwissGear here comes a durable and versatile backpack. It is made for the functionality and convenience and it is loaded with various features including special pouch in order to secure MP3 Player. 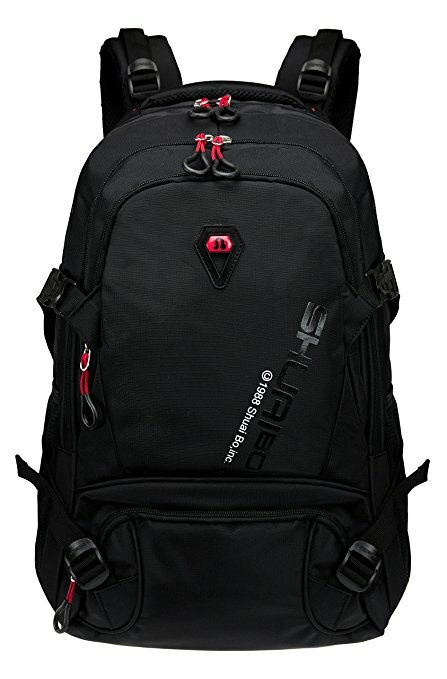 Its main pocket is to protect the packing for gaming peripherals, multiple binders and many other accessories. Its design is optimized for the comfort with an extra padding where you need it. Multi-panel airflow design gives and extra support and comfort from the back while specially contoured shoulders straps are ergonomically meant with some added padding for more comfort and control Moreover ballistic, durable weave fabrics that make this back pack last for years. Advanced features include removable key fob in order to help you have a track of your keychain. Interior pockets organizer to divide pockets for pencils, pens, cellphones and the like. External dual pockets are of elasticized mesh that expands to secure many different sizes of water bottles. One elastic tab on shoulder strap is there to keep your sunglasses safe and conveniently reachable. The laptop compartment is very airport friendly because it allow you to keep your laptop safe when you pass through security. At checkpoint, just unfold it to flat position in order to keep above and below of your laptop section clear. Unique quick-recognition window is well designed to make going through security check hassle free. Compartment also has an adjustable padded strap in order to fit in different sizes of laptop and allow you to have quick access.